A hiatal hernia, also known as a diaphragmatic hernia, is a protrusion of the stomach at the opening of the diaphragm where food goes into the stomach. 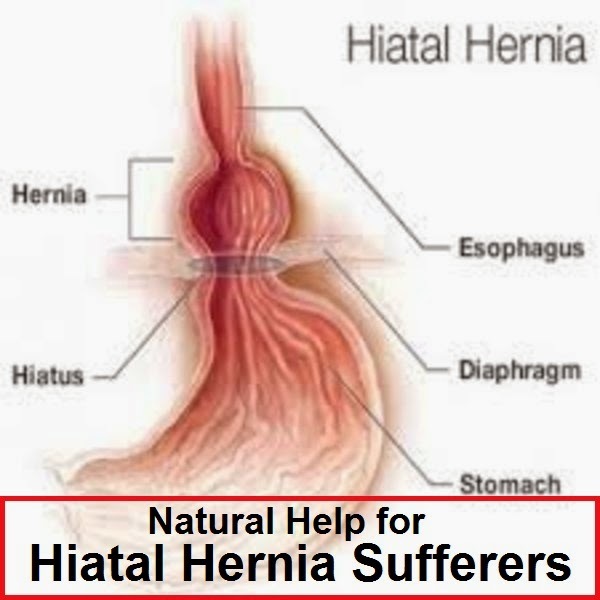 Many hiatal hernias are small and people often don't know they have them. But when a hernia is more severe, it can cause problems like acid reflux, with acid backing up into the esophagus and heartburn becoming a regular part of life. Most people don't need surgery for hiatal hernias, but some lifestyle changes will help alleiviate the symptoms without the use of drugs. In fact, it can be really simple to get rid of your symptoms of hiatal hernia without drugs, surgery, or even costly natural remedies. If you don't believe it can be that easy to get rid of the pain you've been suffering, let me tell you a story about my dad. You name it--hiatal hernia, acid reflux, bile reflux--he's had them all. In his case, all this trouble was caused by a surgery in which a bile duct was mistakenly connected to his stomach instead of his intestine, making it really easy for bile to get into his esophagus. He suffered so much for about a year that he was throwing up several times a day from all the acid and bile that was refluxing. He knew he couldn't live like that forever, and that all these health issues were putting him at increased risk for esophageal cancer down the road. He didn't know what to do, and back then--this was 1976--they didn't have all the drugs that are available for treatment of such issues today (not that drugs help a hiatal hernia anyway). One day he suddenly felt better and was able to sleep through the night. After a bit of detective work he figure d out that the answer to all his health problems came from the produce section of the grocery store. It's a specific kind of apple, and consuming just a little bit every day has kept him symptom free for years. I tell you this story to give you hope. I know that it is possible to treat your hiatal hernia, heartburn, and whatever other issues you have, because I've seen it happen first hand. You don't have to dramatically change your life (though some things like quitting smoking and eating smaller meals certainly help, too) to get the relief you want. It really is simple!